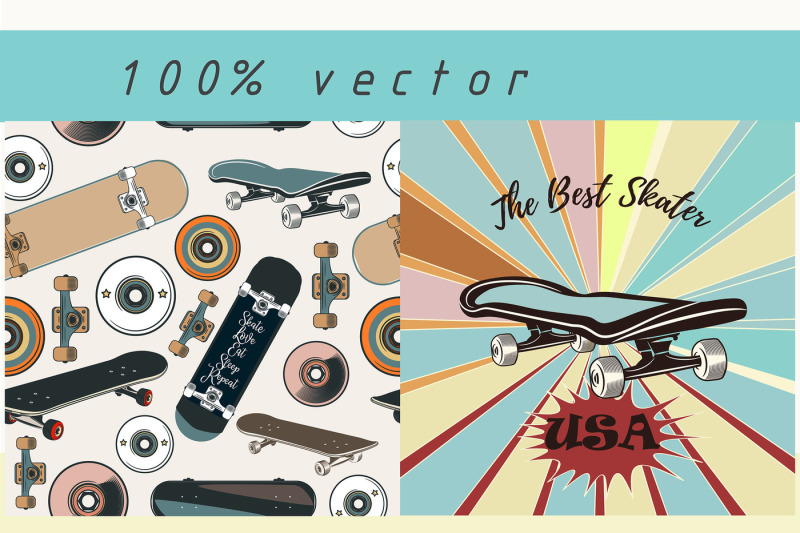 Skateboard is a thing for people who always wants to feel drive, adrenalin, be cool, be young and sporty. 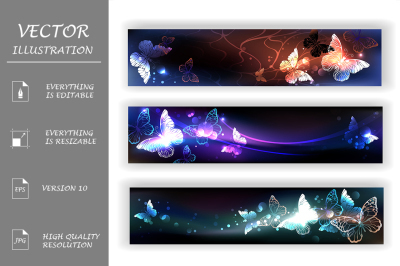 Thant’s why I decided to create my next work on that theme. 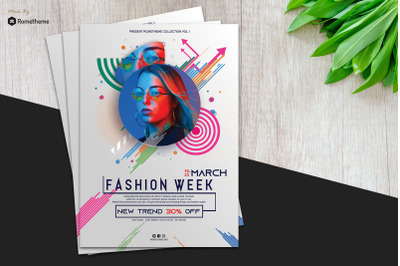 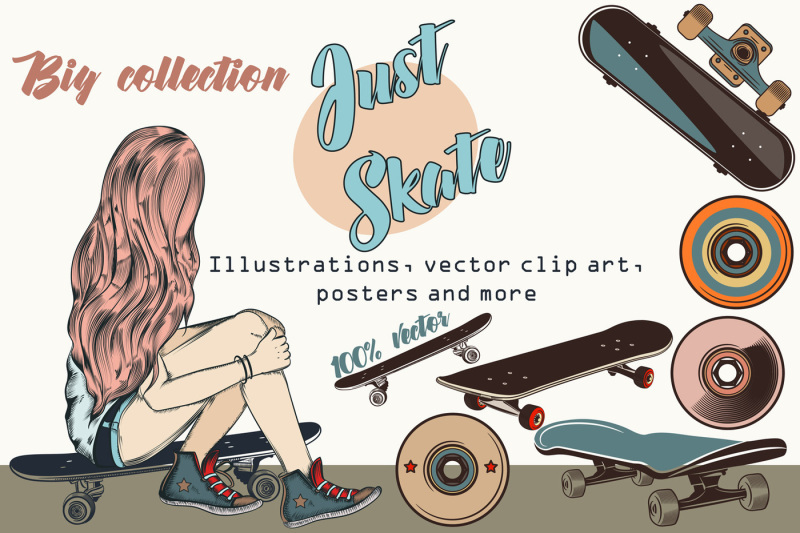 A lot of ways to use this set: prints on T-shirts, boards, jumpers, jeans, fabric, notebooks, phone cases, invitations for special parties and many more which you want to give perky youthful look! 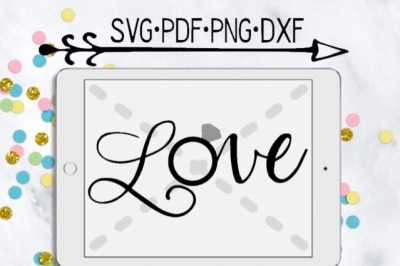 All is carefully drawn on a tablet in lovely filigree sketch style. 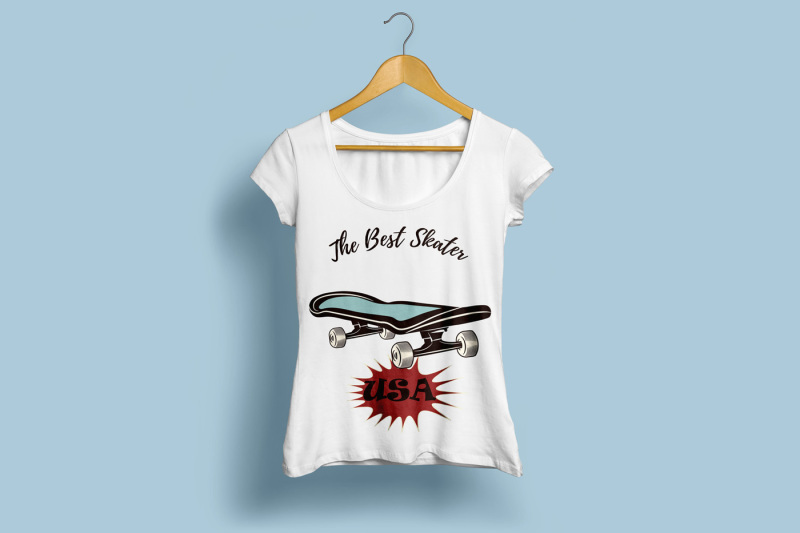 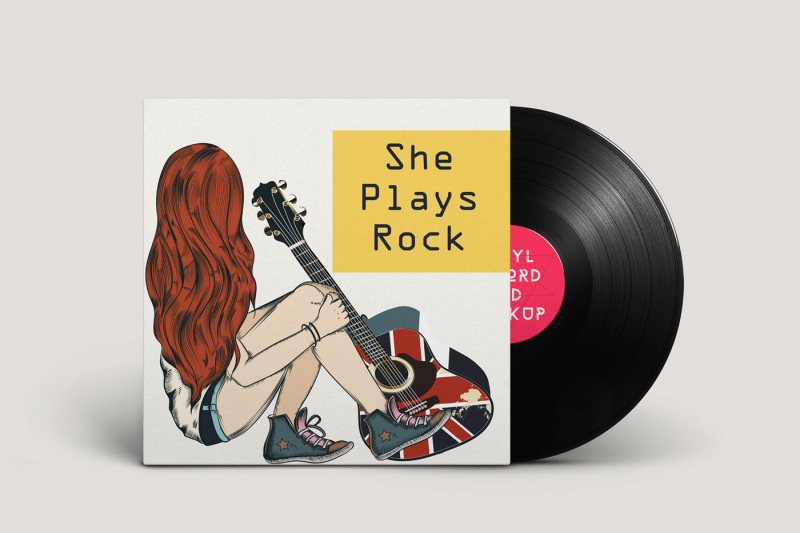 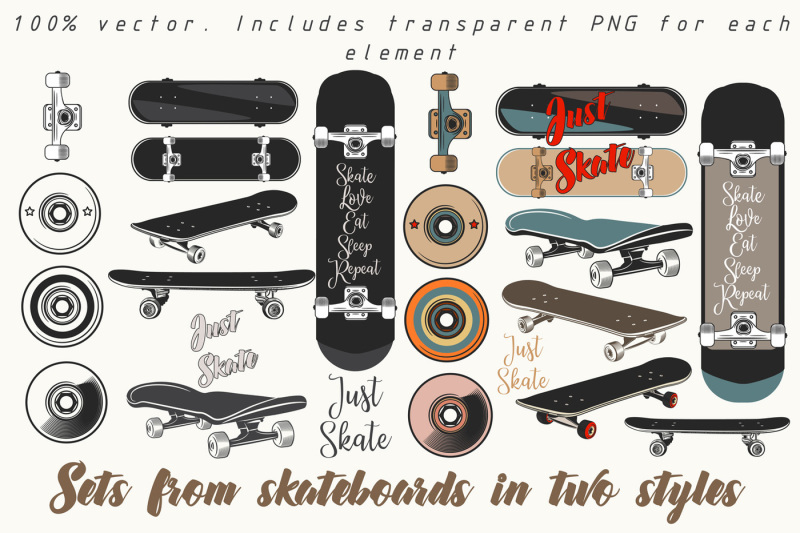 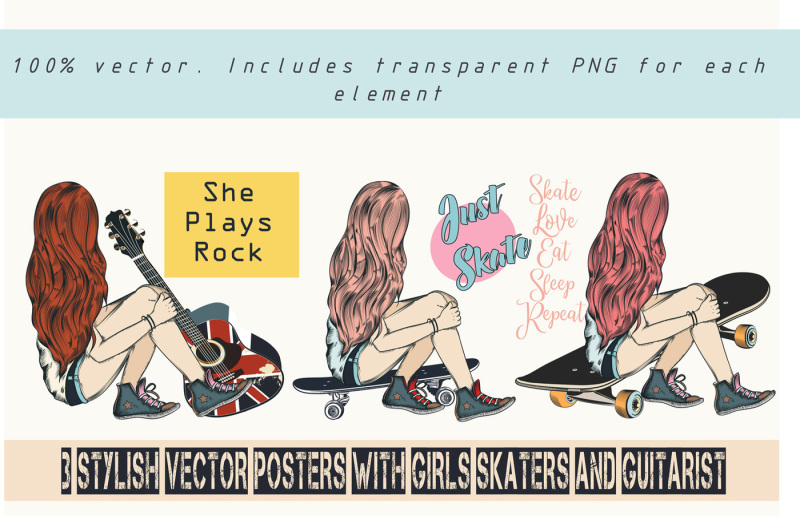 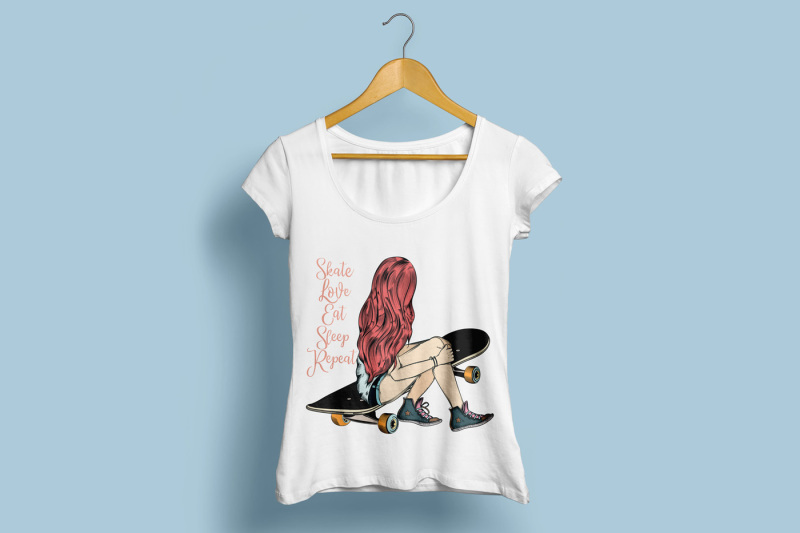 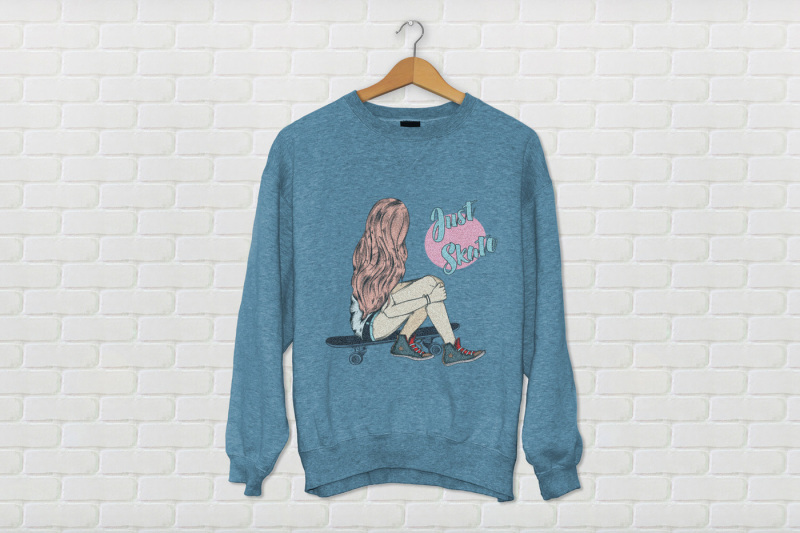 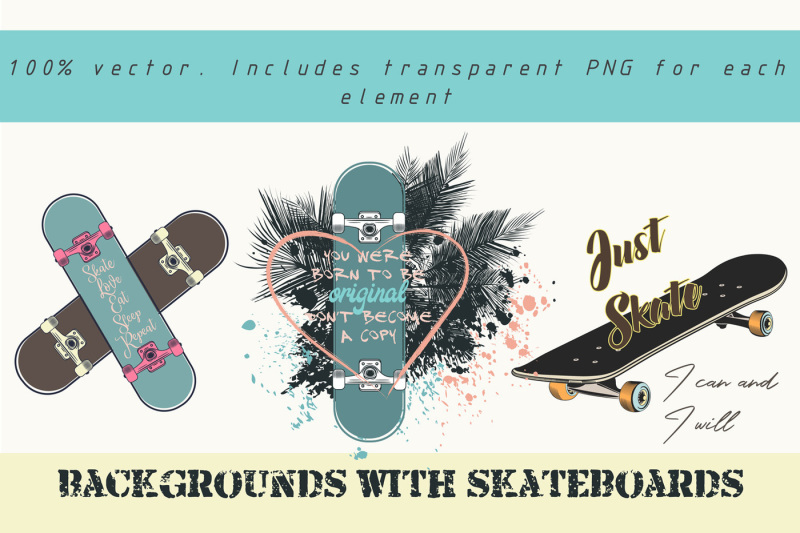 Includes illustrations-posters with girl skater, skateboards in different positions, pattern and backgrounds. 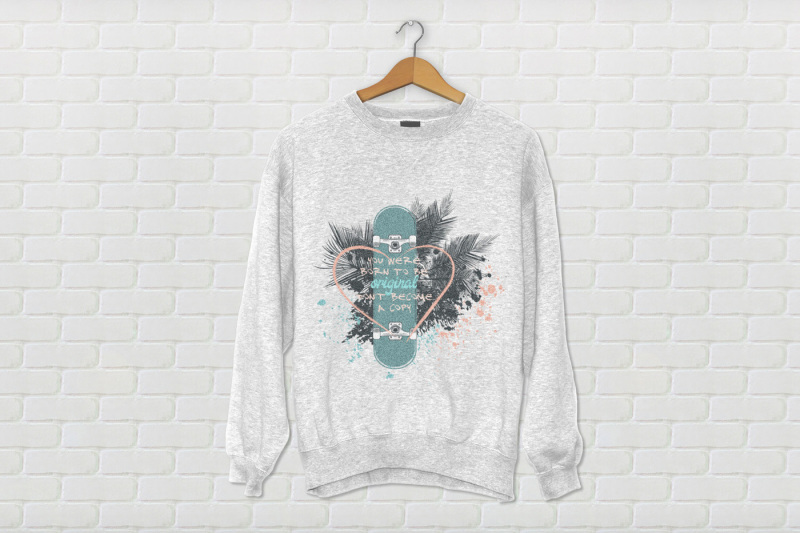 Please look on a previews to see more!